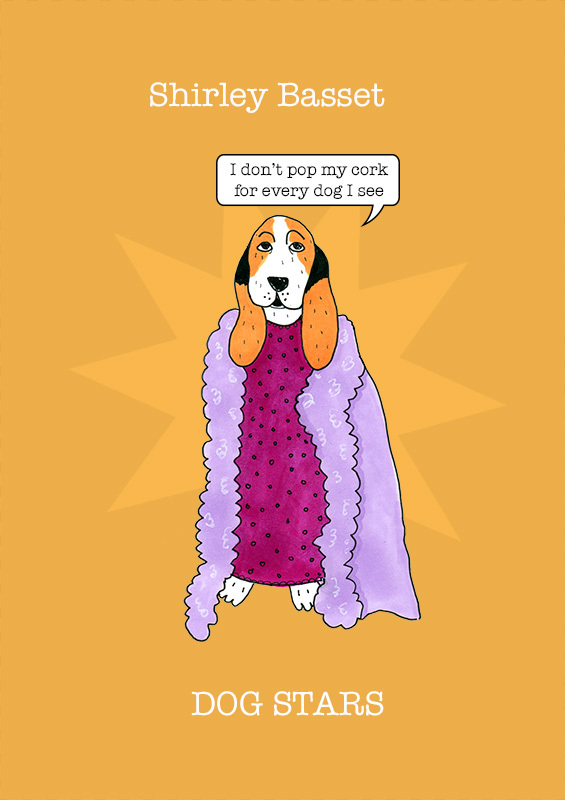 Shirley Basset is known by her legion of dog fans as 'Basset the Belter.' She rose to fame in the 1960's with her massive hit, 'Big Spaniel'. She is perhaps most famous for her renditions of the 'James Bonzo' theme tunes, 'Goldpointer' and 'Dalmatians are Forever'. Basset started living as a tax exile in 1968 but returned after two years when she realised that dogs don't have to pay tax. This is one of my favourite 'Dog Stars' I think. 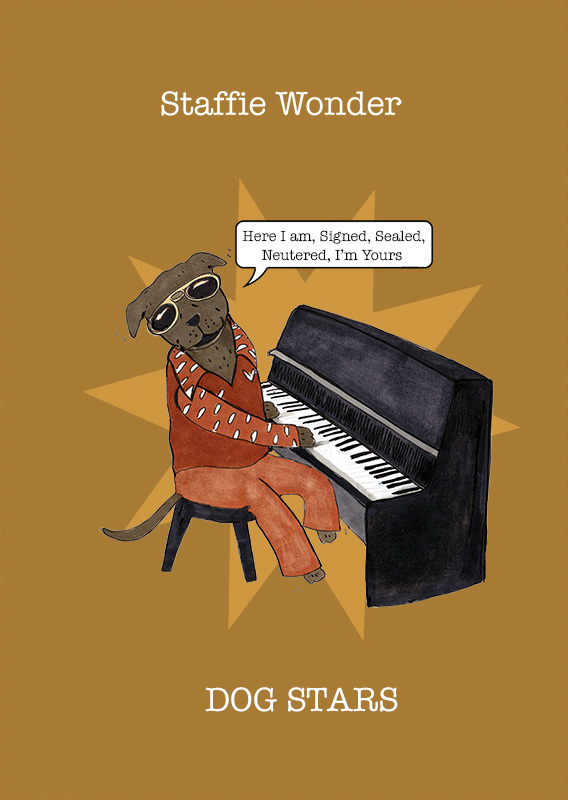 Staffie Wonder was a pup prodigy who has become one of the most creative and loved musical dogs of all time. Iggy Pup is well known for pushing the boundaries of stage performance including in his act such tricks as ‘Jumping Through a Hoop’,‘ Bring Your Slippers’ and ‘Play Dead’. 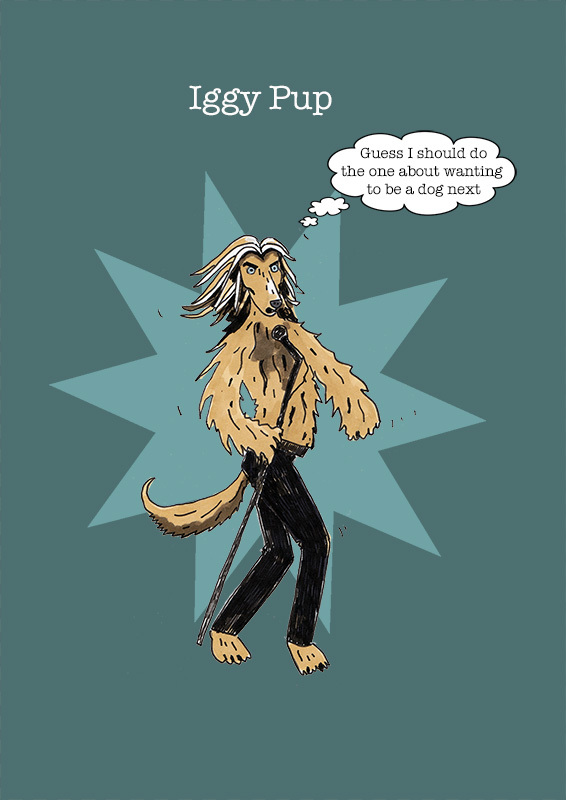 He enjoyed a massive hit with his catchy tune about wanting to be a dog, which touched a nerve with young pups everywhere. Sadly he is also massively addicted to Dog Treats for Healthy Joints. Michael Dachshund was the biggest dog star of the 80’s and one of the most successful recording dogs of all time. 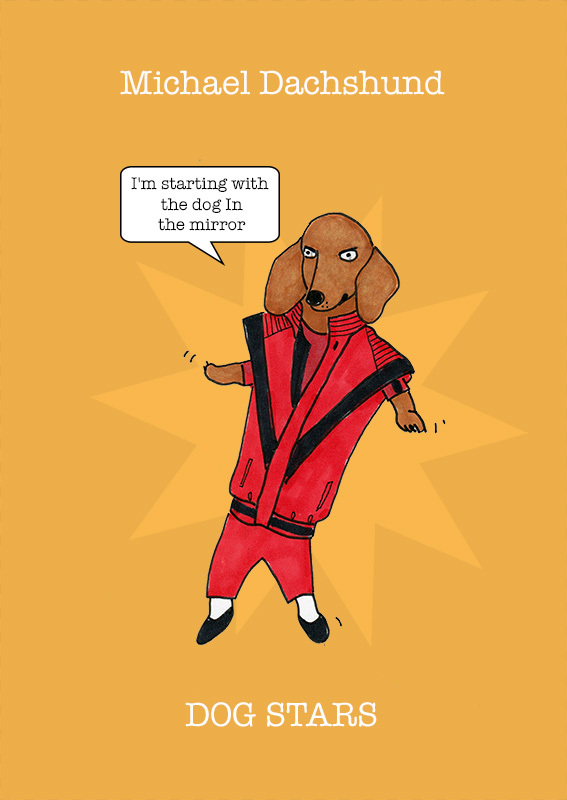 His hits ‘Collie Jean’, ’Dog in the Mirror’ and ‘Blame it on the Doggie’ propelled him to international canine stardom. As his career declined attention focused on his increasingly eccentric behaviour; sleeping in a hyperbaric kennel, going for walkies backwards and barking angrily at inanimate objects. You can buy MD from my Etsy shop, or from November, it will be in Paperchase... Currently working on some Christmas versions.